See “Call for Artists” for more details. The 2nd Annual Paint Out Lynchburg is open to all artists, beginner and experienced. 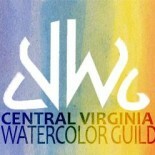 Visit http://lynchburgartclub.org/ to register online. This entry was posted on Feb 17, 2017 by miatomaine in Call for Entries, Local Events.